I am constantly flossing my teeth. I have a space between two of my back teeth that food particles are constantly getting into. I needed a quick easy solution to flossing that didn't involve carrying around an entire roll of dental floss in my purse like I have been doing for so long. I stumbled upon a product called Bryton Pick. 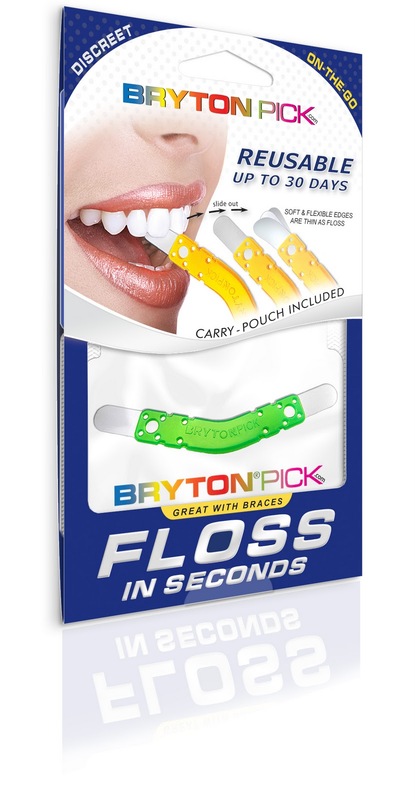 Bryton Picks are reusable up to 30 days and allow you to floss in seconds. They come in a sealed pouch and even has a carry pouch for you to put into your wallet or purse. Each edge of the pick is flexible stainless steel. These are supposed to be great for braces.. Simple instructions and a few testimonials came with the package. I admit I was anxious to use these, because of my love for flossing my teeth.. however, the first instant I used them I about hopped out of my chair. These picks are probably awesome for people who do not have silver fillings in their mouth or porcelain crowns, both of which I have. The feel of the stainless steel edge going between my teeth was enough to make me cringe and the second one of those pick edges hit one of my silver feelings it was like chomping on tinfoil. As I stated, these would be great for those with no fillings or crowns, but for someone like me they are not all that great to use. It is an awesome concept, that much I will admit, but this product is just not to my liking.